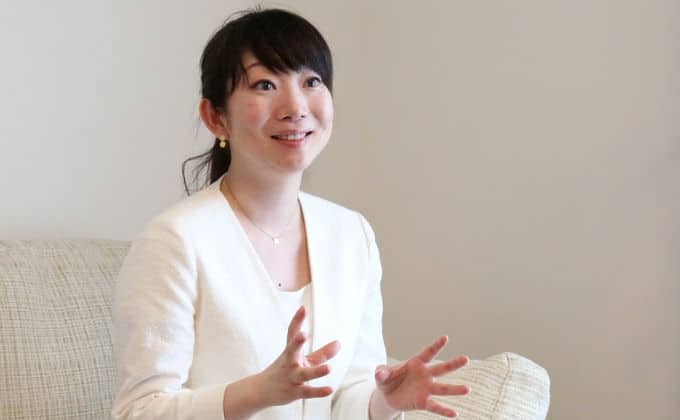 Miwa Tanaka, CEO of Waris, is working to make things better for working women in Japan. Although things are slowly changing, most Japanese women still must leave the workforce when they have children. The Waris platform helps them get back on track, either as a freelancer or by restarting their career. We talk about her startup, of course, but we also talk about the difficulties women still face, the kinds of roles they are traditionally placed into, and the traditional employment structures and roles are changing. It’s a optimistic interview and Miwa explains why she believes that corporate Japan truly wants to change things for the better. The Waris community blog Cue for working women in Japan. 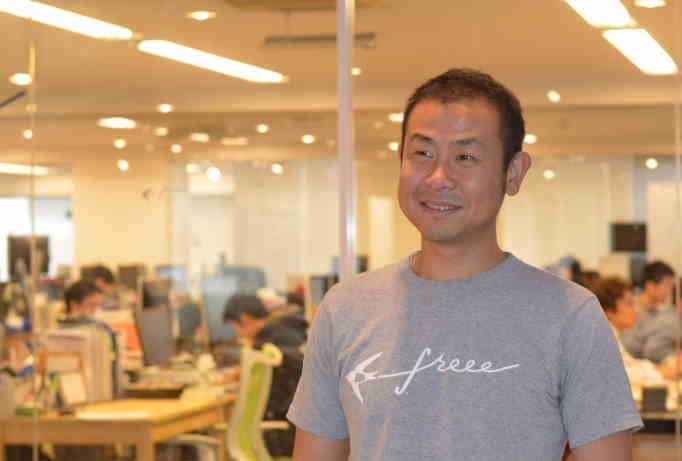 Welcome to Disrupting Japan, — straight talk from Japan’s most successful entrepreneurs. Miwa Tanaka, the CEO of Waris is working hard to make things better for women in Japan. The changing roles of Japanese Women in both start-ups and large enterprises is something we talked about quite a bit on disrupting Japan and Miwa has a unique perspective on this subject. Waris is a platform that is helping Japanese women who’ve quit their jobs to have children, rejoined the work force. 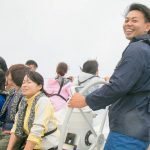 Now, of course, we talk about the social and business conventions that results in Japanese women having to quit their jobs to have children in the first place. But often the best solutions to these kind of social problems are small steady improvements, and that’s what Miwa is trying to do. In fact, hearing Miwa explained what Waris is shows us some microcosm of women in Japanese business, — the difficulties women face, the kind of roles they’ve traditionally been placed into and also how those roles and the traditional employment structure are changing but more important, perhaps, how Japanese women themselves are choosing to adapt, to work around, occasionally, walk away from those restrictions. And as Miwa explains, another sign that things are getting better here in Japan is that Waris has a steady stream of corporate customers who are asking for diversity training. I think that this is a sign, much like it was with previous guest who discussed the demand for open innovation and LGBT sensitivity training that corporate Japan wants to change. I think much of corporate Japan and the government as well, are sincere on their efforts to make things better. But as Miwa explains, sometimes those changes can painfully slowly, but Miwa tells that story much better than I can. So, let’s hear from our sponsors and get right to the interview. Tim: So, I’m sitting here with Miwa Tanaka, the co-founder and the CEO of Waris. So, thanks for sitting down with us. Miwa: Thank you so much for inviting me. Tim: Now, Waris is an online job matching service to help women continue their career after they’ve had children. I’m sure you can explain it much better than I can. So, why don’t you tell us about what Waris does? Miwa: Okay. Thank you. Waris is a job matching company for women who have professional skill sets and we connect their skill sets with Japanese companies through a flexible work schedule, like a 3 days’ work a week or working remotely. Tim: Is it telecommuting? Is it part time? What’s the usual situation? Miwa: Oh well, sometimes they work at the clients and they also work at their home. Tim: Okay. So, it’s both situations? Tim: And is it usually part time work or there’s some fulltime? Miwa: Mostly they are part time worker. As you know, almost 60% of women quit their jobs after giving birth in Japan because in most Japanese companies, we have to work so long hours and it makes women very difficult to keep working. Tim: Actually, a little later on, I want to get back into exploring details about this dynamic of women having to leave the workplace and trying to come back in, but for now, are these jobs permanent jobs or they’re jobs that last for a few months? Miwa: The average is 7 months. So, it’s a kind of project work by contract. They’re independent contractor or people who want to be independent contractor. Tim: I see. So, it’s kind of half way between a crowd sourcing platform and a job site. It’s sort of in the middle there. Miwa: Yeah. That’s right. We are not crowd sourcing, we’re agent for such women who would like to work by contract. Tim: Are most of the people using Waris using it as a stepping stone to get back into the job market? Or, they’re using it as a way to get part time work? Miwa: 30% of our registrants are searching jobs and they would like to go back to workforce. Tim: So, does that mean that they’re using Waris just a temporary step before going back fulltime? Miwa: And also, 20% of them are freelancers. Tim: And they’re just using the Waris platform to get more jobs?? Miwa: To get more jobs and to get new client. Miwa: But then in Japan, independent contractors is still rare and it’s a little bit challenging for them to work with their clients. They tend to be weaker than clients. Tim: They don’t negotiate for as higher fees as they could? Miwa: Many Japanese women are not so good at negotiating. Tim: This is something that is very true in the United States as well. Tim: Women in general tend to be weaker negotiators than men. I think it’s a global phenomenon, but it probably is more extreme in Japan just because those social pressures are so much stronger here. Tim: Let’s take a step back for a minute, let me ask you a little about you. Tim: You work in a magazine publishing before starting Waris. So, what made you leave publishing and want to start your own company? Miwa: Before starting Waris, I worked as a writer and editor over ten years and I belonged to magazine named Nikkei Women. This is a magazine for Japanese working women. I interviewed a lot of Japanese working women and I found how difficult for them to keep on working in Japan. Tim: What made it difficult for them to continue working? Miwa: The working long hours. It’s a Japanese traditional working way. In many companies, we have to work not only 8 hours but also maybe 10 hours. Tim: Yes, crazy over time. Miwa: Yes, 12 hours. It’s really common in Japan. Women have their children, they have limited hours in taking care of their children, it makes them very difficult for working as usual. Tim: It’s a big jump from noticing a trend to leaving your job and starting up an new company. So, what made you decide to make that jump? Miwa: The biggest incident was earthquake of 3.11. Can can you say in English? Tim: The March 2011, The Fukushima earthquake. Miwa: It was a kind of incident to me to decide this kind of life change because at the earthquake, I stayed at Tokyo but as you know, Tokyo is not the center of the earthquake but it was a really big event. Because of the earthquake, I thought about my career, or my future and I realized that life is not everlasting. I mean, suddenly, it would be stopped by such a kind of earthquake. Life is only once, so I would like to do what I really like to. Tim: So, was starting a company something you wanted to do for a long time ago? Miwa: No, when I was working in a publishing company, we worked with a lot of freelancers. I would have liked to be a freelancer but I didn’t think about starting our business as a company. Tim: Okay. And why did you decide on a company to help working moms get back into the work force? Miwa: I thought I’d like to support women to keep on working. They thought exactly the same, we started to talk about how can we do that. Tim: Are any of you working mothers yourselves? Miwa: One of us. Her name is Fumika San. She is a mother. Tim: Okay. It was a problem that was really right in front of you and we understood. Tim: You mentioned before about some of the difficulties women have in continuing to work when they have children, the long hours and such, but whether some of the difficulties they face in going back to work, both the practical and the social aspects? Tim: Yeah, there’s no way to advance your career. Miwa: Yes, that’s right. Maybe it’s a little bit difficult for you to get the appropriate evaluation about your job, from your boss, from your colleagues. It’s a Japanese traditional way of evaluating. Tim: Wouldn’t be able to use her skills as she did before she left? Miwa: Aha, and of course, if you have some career blanks, it would be much difficult for you to go back to work force. In Japanese companies, especially the HR, do not evaluate their career blank. I think in US, maybe if you have a career blank, you can be back to the work force. Tim: That’s true. In America, it’s much easier to pick up where you left off. To continue in Japan, it is difficult. 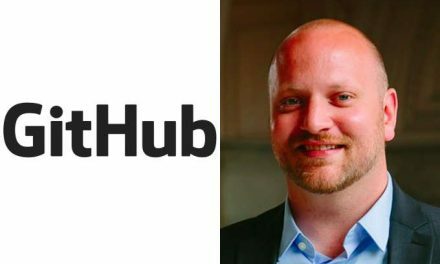 Tim: Waris is a job matching site, and I mean, perhaps it’s a simple way of explaining it, but it sounds like the goal is more of building a community of finding ways of helping women do this kind of employment permanently. Miwa: We would like to support people to keep on working the way you would like to— if they’d like to work as a permanent worker, of course, we’d like them to do that. Of course, if they’d like to work as a part time, we would like to support them. Tim: Do you know how many of the Waris users want to go back fulltime and how many are trying to build a freelance group? Miwa: That’s really interesting to ask. Almost 50% of them would like to work as a freelancer, just 10% of them would like to work as fulltime. Tim: Well, also 10% have any desire to go back and work fulltime? Miwa: The other 40%, they don’t care about fulltime or part-time, but they would like to work more freely. They don’t care about the place or time. Tim: I think this is something that a lot of Japanese are discovering, whether it is women who had recently had children or are trying to go back to the work force or whether it’s a new college graduates. A lot of Japanese are deciding that the freelance lifestyle is very appealing. Miwa: Aha. Becoming freelancer is getting one of the career paths for Japanese people especially young Japanese, 20’s or 30’s people. Miwa: Yes. You know very well. That’s right. Even in METI, even in Japanese government, they have kind of special workshop to think about how they can develop the freelancers. Tim: It’s amazing how quickly attitudes can change in Japan. Miwa: That’s right. We often hear the word “hatarakikata-kaikaku” working style revolution. It’s really new word. Tim: Okay. So, there are more than 35,000 women that are registered on this, what’s sort of skills are most in demand now? Miwa: The most popular one is PR and Marketing. Tim: And is it more traditional style of Japanese PR and Marketing, or is it the more modern social media marketing? Miwa: Some of them are professional about traditional PR, but some of them have the professional skill sets about web marketing. Tim: That makes sense to me. I mean, that’s something that’s very in demand now by a lot of companies. Tim: And on the client side, is there a particular industry you’re targeting, a particular type of business that uses Waris? Miwa: 70% of them are startups. Miwa: Yes. that’s right. They have really limited resources, so they like to get the professional — they did not need a full time professional. They would like to use professional temporarily or as a project work. Tim: That is so encouraging. Over the last five years, we’ve really seen a Start-up eco-system developing in Tokyo where there are more and more start-ups whose client base are other start-ups. If that was 15 years ago, that would have been impossible. There weren’t enough start-ups for it. For the workers, are they mostly in the cities? In the suburbs? Are they in the countryside? Where are they? Miwa: Almost all women are living in Tokyo or around Tokyo. From last year, we started our business in Nagoya and in Fukuoka as well. So, we have a small number of women in this two areas. Tim: From the client side, the customer acquisition, the hiring companies, there are lots and lots of recruiting companies in Japan. There are lots of kind of crowd funding sites, why the companies look to Waris? Why they want to hire women from these positions? I mean, I’m not saying they shouldn’t hire women for these positions, but Waris is a women only jobs matching. So, what is the attraction of Waris and hiring these women over any of the other sites? Miwa: I think one of the biggest point is professional by contract. In some cases, they like to work with female professional. I mean, if they like to create some kind of new product for women, they like to work with female professional who have appropriate knowledge about marketing or PR. Tim: So, many of your clients as well are companies that are targeting women? Miwa: Not all, but some of them are yes. Tim: Okay. So, you and your co-founders launched this, — Wow, it’s almost 4 years ago now. Tim: Okay. So, you’ve been growing fast since then, but with recruting and job boards and everything so competitive in Japan and everywhere, how did you get the word out? What was your marketing strategy both to reach the women who wanted jobs and to reach the clients and companies who could employ them? Miwa: We were focusing on the professional women, the average age of the registrants is 38, so they could be kind of leaders and managers. They have a really professional skill set. Tim: And how did you reach them? How did they find out about you? Did you do social media? Let’s say, articles and magazines? Miwa: Still, no. 30% of them are coming by word of mouth. Miwa: Yes. Because when we started our business, the co-founders were searching these kind of targets around us, among our friends, or the friends of them. Tim: Okay. So, really just networking and calling up friends and going to events and things like that? Miwa: Yes, that’s right. So, face to face and we talked about our passion about this business and we get in touch with these kind of women. In Japan, they didn’t have such a kind of service, so we were really rare and we were really attractive for them. So, they talk with their friends about us. Tim: Well, that’s fantastic when word of mouth can drive that much business and that much growth. Miwa: Yes, and of course we used social media and of course, we approached a lot of Japanese old media like TV, magazine, newspaper, and a lot of writers and editors who are really interested in our business because our business was really helpful for Japanese society. Tim: Okay. So, you’ve got a lot of positive press attention and word of mouth and that’s fantastic. You have a community of working women together on the platform, do you monetize in other ways than simply job matching? Do you run events? Do you do affiliate sales? Miwa: Currently, job matching is our main business, but we also have the consulting service for Japanese companies to promote diversity. Tim: What are those engagements look like? What kind of consulting? Miwa: As you know, in many Japanese companies, they are really positive to do diversity event or diversity measures, but on the other hand, some of them feel a kind of difficulty to do that. Tim: What does diversity mean in Japan? Tim: So, coming from America, I think I have a very different idea of what diversity means. So, when your client say they want consulting and training in diversity, what do they want? Miwa: That is really interesting point, but in Japan, diversity mainly means how to promote women. It’s kind of women’s empowerment. We have a lot of knowledge about how to promote women or how to cope with Japanese women’s career. Tim: What are the biggest problems that women face in that environment? So, you mention before about having to leave their career to take care of their children. What other challenges do women face in Japan? Tim: That’s the big part of the business culture here? Miwa: Yes, right. So, it makes them so difficult to keep on working and evaluation system is really related with these kind of colleges. So, if you can work long hour, you will be evaluated more in Japanese companies. Tim: Right. Being there in the office counts for a whole lot in Japan. Tim: So, do you try to get the companies to reduce over time and to shift their evaluation on to the other metrics? Miwa: We have some kind of workshop for diversity. Tim: These are things that I’d love to see change, these are really deep parts of Japanese business culture, do you see it changing? Miwa: Yes. It’s changing because from Prime Minister Abe is saying that we have to change this kind of culture and Japanese Government as well is really focusing on these topic. And in Japanese Culture, Japanese big companies are really looking at the act of the Japanese government. So, Prime Minister and the Japanese Government is focusing on work style evolution, Japanese big companies, they’re all thinking about it seriously. Tim: I think that’s very true in Japan. I think it’s happening with start-ups as well. Having Abe talk about the importance of start-ups means that big companies are more willing to work with start-ups. Well, also after the 2011 earthquake. I remember it was amazing simply the Prime Minister said, “We had a target of reducing energy consumption by 20%”, and there was no real program, there was no plan, there were no penalties, but the businesses in Tokyo reduce it like 23%. Tim: Yeah, it really is. It’s amazing things happen when people can be focused on making a change. Miwa: I think so. And Prime Minister and Japanese government is really focusing on these area and they think that Japanese work style is a big problem to this society. Tim: I agree. Well, hopefully, we’ll see that change take a root. Let me ask you about kind of Japan in general. Most women entrepreneurs I know absolutely hate being asked about being a woman entrepreneur. So, I don’t really don’t ask it. But, in your case I’m going to make an exception because your entire company is about empowering women, helping women get back into the work force. It was founded by a team of three women, so have you faced some of the difficulties as an entrepreneur that you find women face in Japan going back into the workforce? Miwa: For me, I didn’t have such a kind of difficulty to be a female entrepreneur in Japan but I think female entrepreneurs have less role models compared with male entrepreneurs and also male entrepreneurs have ordinary network. Of course, female entrepreneurs have also such a kind of network but I think female entrepreneurs’ network is small and less than male one. Tim: Well, there are fewer women entrepreneurs than men entrepreneurs, whether it’s in the US or in Japan. It’s definitely true. Have you found that there are advantages to it? Does it make it easier to get press attention? Miwa: I think so. It is really upside for female entrepreneurs to get attention from Japanese press because they are few. Tim: Well, this is one thing that I’ve been somewhat surprised by. So, I noticed that the Nikkei and the other newspapers and magazines like to write articles about women entrepreneurs in Japan and say it’s very unusual. 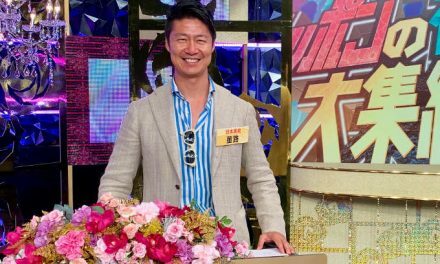 But the fact that there’s a lot of women entrepreneurs in Japan, I think probably 20% of the people who have been on the show have been women. It seems like the press is always surprise at something that’s not unusual anymore. Miwa: I think, in these days, all the social trends of Japanese women’s empowerment makes it happen. Tim: Yeah, and that’s been grateful Waris. Tim: We talked before about– and in fact, Waris itself was built on the whole concept of women being attracted to a more freelancing lifestyle. Do you think more and more Japanese women are being attracted to the entrepreneurial lifestyle? 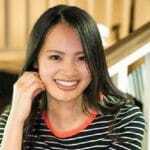 Miwa: I think so, because freelance and entrepreneurs are really good career paths for women because when you work as a freelancer or an entrepreneur, you can decide anything you like. Tim: Sure, you’re in control of your schedule. You’re in control of what jobs you take. Miwa: You can manage. So, such a freedom of management is really good for women. Tim: Before we wrap up, is there anything that you want to talk about? Is there anything I should’ve asked you that I haven’t asked you yet. Miwa: I really think Japanese society is changing right now. So, this time is really a chance for us or big opportunity for us to expand our business. Tim: So, how do you see it changing? Miwa: In terms of freelance or in terms of independent contractor, maybe three years ago or four years ago, the volume of this kind of information was less but maybe from last year, the trend is getting bigger and bigger. As an example, in METI in Japanese government, last November they started to have a kind of working group and in that working group they were talking about how to increase or how to develop freelancers in Japan, in Japanese government. It’s really surprising. Tim: It makes sense now that they understand it, — the freelancers, provide a tremendous flexible workforce for both start-ups and mid-size and even large companies, and from a freelancer point of view, as you mentioned, it can be much more pleasant to work as a freelancer than to work in a typical japanese company. Before we wrap up, I want to ask you what I call my magic wand of question. If I give you a magic wand and I said you could change one thing about Japan, anything at all, the education system, the attitude towards risk, the way people think about women, anything at all, to make it better for start-ups in Japan, what would you change? Miwa: To change people’s mind, to take risk, because I think if more people take risks Japanese society could be more exciting and more creative. Tim: What kind of risk should people be taking? Miwa: For example, to be a freelancer, to be an entrepreneur, to join the start-ups, try to the new world or try to the new step. Tim: Why do you think people aren’t taking those risk today? Do you think it’s social pressure? Do you think they’re worried about their financial future? What do you think are stopping them? Miwa: Japanese education system and also the financial pressure. When I was a writer, I interviewed a lot of Japanese working women and they were really afraid about their future, even they were 20’s. They were really worrying about it. Tim: So, you think part of it is just a cultural habit of worrying? Miwa: Aha. I think so. Miwa: Japanese people should be more challenging and take risk. Tim: I think so, too. But, I think, certainly in the last 5 or 10 years, I think we’re seeing more and more people taking risks and bigger and bigger risk. Miwa: I think so. It was a really good trend. I hope that would be more. Tim: I do, as well. Okay, Miwa, thank you so much for sitting down with me. I really appreciate it. Miwa: Thank you so much. It was really exciting time to me. You know, I’ve always found the Japanese Mass Media’s fascination with Women Founders and CEO’s to be a little bit strange. The media here constantly hold up female founders as something unusual and strange and write a steady stream of gee-wiz stories that play up their novelty. To be fair, the founders are happy to have the publicity, but I keep wondering when the Japanese media will catch on the fact that there’s nothing unusual about female founders in Japan. Now, I haven’t actually counted but I would bet that about 20% of the guests on this show would have been women, and I frequently volunteer at Start-Up weekends as a coach and in the events that focus on college students, it’s common to have one-third or more of the participants female. At some point, I suppose the media will eventually stop being amazed that things might be changing and realize that, “Well, things have already changed”. And you know, one of the most encouraging points that Miwa made about Waris was that majority of her clients are startups. Now, to listeners in San Francisco, London, and Singapore, this is hardly surprising. In fact, a lot of startups’ early customer base are other start-ups, but in Japan, this is new. This is the emergence and strengthening and growth of an actual start-up ecosystem. You see, until relatively recently in Japan, the only way for B2B start-ups to survive was to sell to large enterprises or cash-strapped mid-size companies. Neither type of firm is exactly known for risk taking or experimentation, but startups, that’s what we live for. Having enough startups in one market is essential for developing and scaling innovative products. It’s the best and quickest way for products to prove themselves in the market place and for the companies to work the kinks out of their products and more and more, that’s what we’re seeing in Tokyo. If you ever tried to go back to work after taking time off, Miwa and I would love to hear from you. 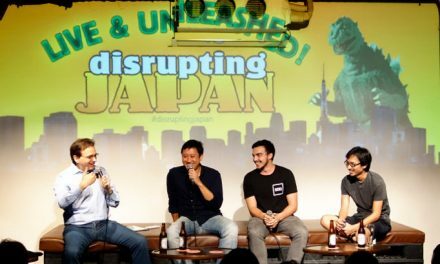 So, come by disruptingjapan.com/show078 and let us know what you think. When you come by the site, you will see all the links and references that Miwa and I talked about and much, much more in the resources section of the post. And I want to tell you a bit about our sponsors, no, no, don’t worry. We’re done with the ads for today, but their sponsorship is what lets me keep producing Disrupting Japan, and most of these guys genuinely care about the start-up community here. So, drop by their sites, check them out and let them know you heard about them here. Does Waris provide service to foreign women? Thanks for listening. I believe Waris is happy to work with women of any nationality, but the platform and all of the content is in Japanese.